(SPOT.ph) It looks like Christmas came two months early for bookworms! 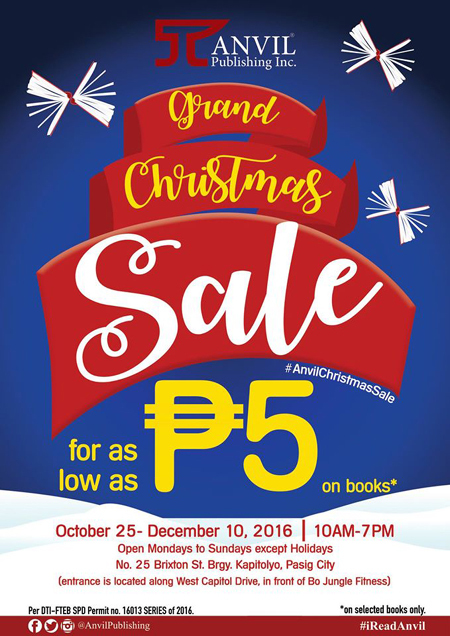 Anvil Publishing is treating you to a Grand Christmas Sale from October 25 to December 10, 10 a.m. to 7 p.m., at #25 Brixton Street, Barangay Kapitolyo, Pasig City. Get ready to hoard as many books as you can because you can score titles for as low as P5! It's the perfect gift idea for bookworms and children this Christmas. Just visit them from Mondays to Sundays (except holidays). It's the most wonderful time of the year! 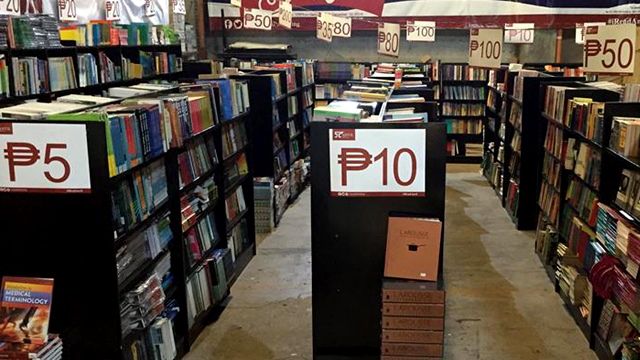 Bookworms, National Book Store is extending their book sale!